Have you been told you need a root canal? 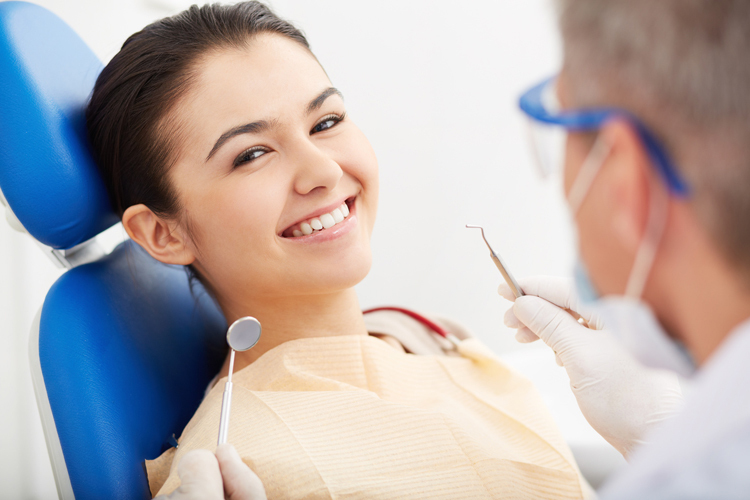 Root canal therapy is performed to save a tooth that would otherwise need to be extracted. The procedure has a bad reputation, but in actuality, for the patient, it is essentially like having a cavity filled. Under the tooth enamel is a layer called dentin. In the center of the dentin is an area of soft tissue called the pulp. The pulp is made up of blood vessels, nerve fibers and connective tissue. When a tooth becomes infected as a result of a deep cavity or trauma, blood rushes to the pulp in an attempt to fight the infection. Since there is nowhere for the blood to go, pressure inside the tooth builds, causing pain. The only way to get rid of the infection is to remove the infected pulp through a procedure called root canal therapy. Root canal treatment can involve one to three dental appointments. At the start of the procedure, you are given a local anesthetic to numb the area. A rubber shield is placed around the tooth to isolate it from the rest of the mouth. The dentist then drills into the tooth to the pulp and removes the diseased pulp. An antibiotic is sometimes applied to the inside of the pulp after it is cleaned out. The pulp is then filled with a rubber-like substance called gutta-percha, and the tooth is sealed at the surface with a filling. A crown is usually placed after root canal therapy to strengthen and protect the tooth. If you are experiencing tooth pain, you may need root canal therapy. Call our office to schedule a consultation.